What is Eco Friendly Bedding and Sheets? What is Eco Friendly Bedding? For the eco-conscious consumer, bamboo products are a top choice. Bamboo is believed to be the fastest growing plant on earth. As forests around the world are growing smaller, mainly because of large-scale deforestation, bamboo is an increasingly popular sustainable resource. It is part of a group of fast-growing evergreen plants that can be used in a number of different ways. Right now, in North America and the United Kingdom a high in demand green product is eco friendly bedding, and specifically eco friendly sheets made from bamboo. They are extremely soft, durable. Bamboo yarn breathes easily and has natural moisture-wicking, absorption, and ventilation abilities. During the year, this eco friendly bedding helps to keep the body cool on a summer night, but can also retain heat during the colder winter months. This bedding is also a favorable choice for people who suffer from night sweats, like women who are pregnant or going through menopause. Both hot flashes and pregnancy usually make it difficult to sleep and although bamboo sheets will not make your sleep perfect, they will help with their insulating and breathable qualities. Bamboo is a favorite choice for environmentally conscious consumers who care about sustainability. Bamboo can grow and be harvested pesticide free, and that ensures that it is organic, hypoallergenic and antimicrobial. This plant is also significant in Asia, as it is used there as a building material, a source of food, and as a raw product. According to Today.com, bamboo can often be harvested in around four years, and it grows new sprouts as it ages. This means that it does not require replanting. If you go back a few years, many people may have thought of bamboo as something that was only used as building materials, furniture, decorative items, but as you can see it is quite versatile and a great option for bedding. In today’s eco-friendly world, there are so many environmentally friendly products for sale. 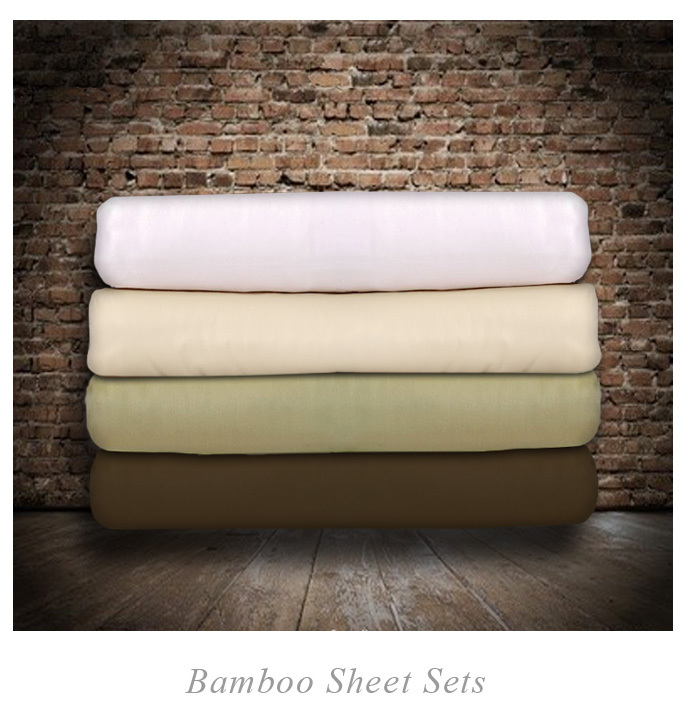 Bamboo sheets are a perfect gift for an eco-conscious friend or loved one.